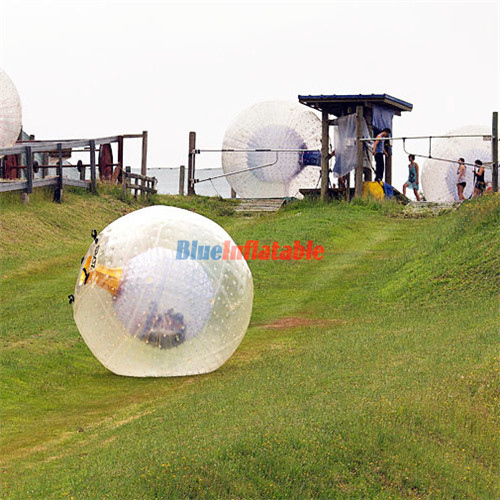 A Zorb Ball is a round plastic ball commonly used for inflatable sports like rolling down hills. It usually requires one player at a time to be encased inside it. Nonetheless, there are those that are manufactured with two seats, thus requiring two players at the same time. 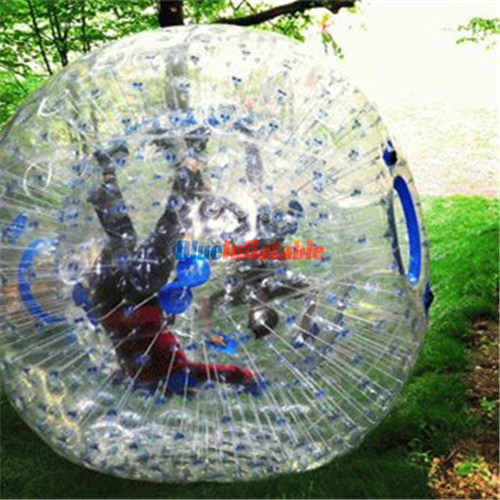 The ball usually contains harnesses which are used to grip the player so that he/she is safe when the rolling commences. 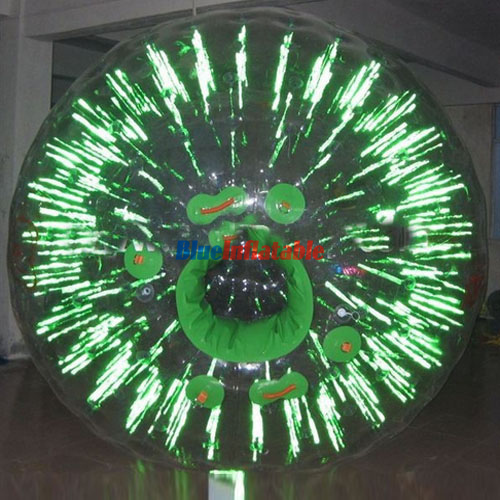 It is also transparent and comes in various colors of your choice. 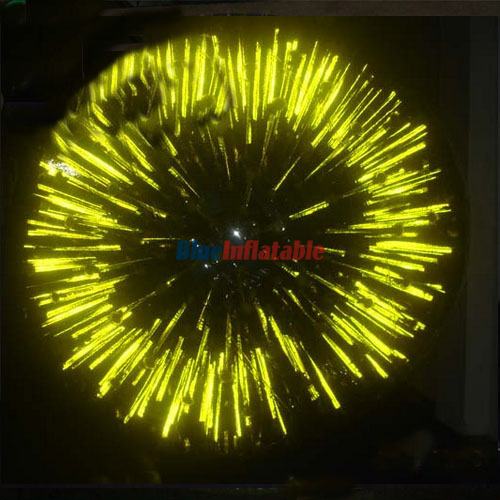 This implies that you can make an order and we customize it to your preferred requirements in terms of size and color. 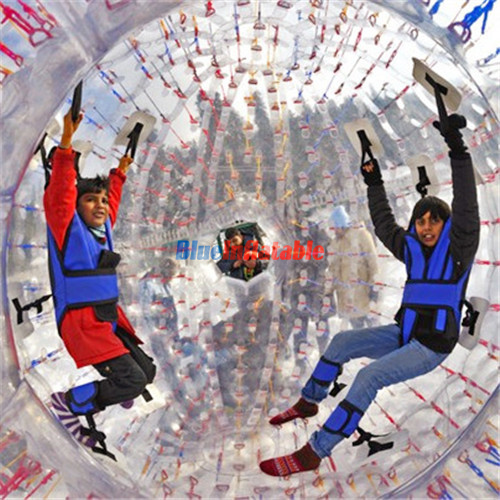 This zorb ball is manufactured with features along with guidelines to ensure total protection of the players. 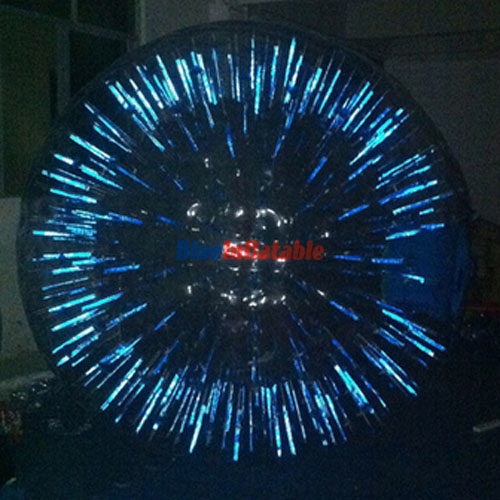 The transparency feature is helpful in allowing light into the zorb and also providing a clear view while rolling. 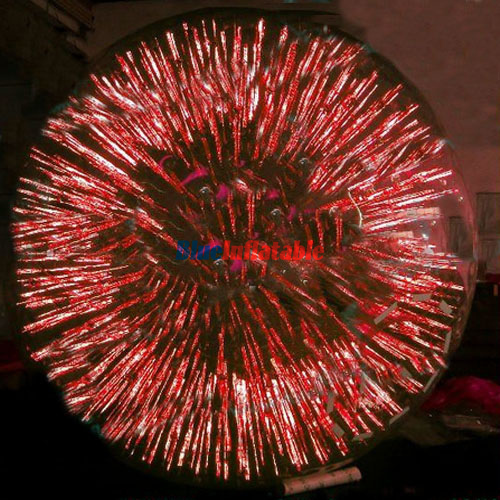 The zorb’s body is made of thick plastic which makes it more resistant to ground features that would otherwise affect it easily. This makes it reliable and long-lasting. It is also recommended to make sure that the harnesses are properly attached to the ball before strapping them around yourself. 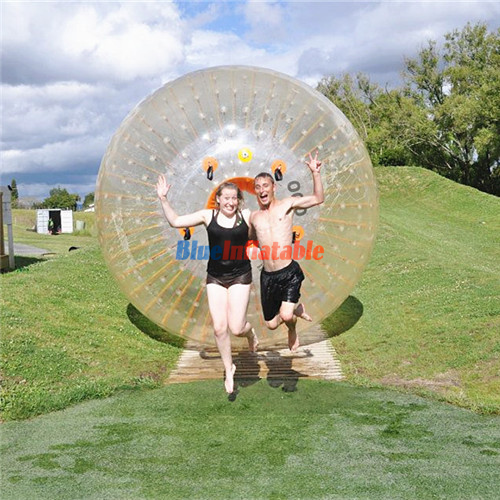 Meanwhile, for the two-seater zorb ball, it should not be used by one person. This is to make sure the ball gets the weight and balance it is supposed to have. This type of ball is for both kids and adults no matter the age. This is the ball you can play alongside your kids. And without any doubt, you will have a lot of fun together. 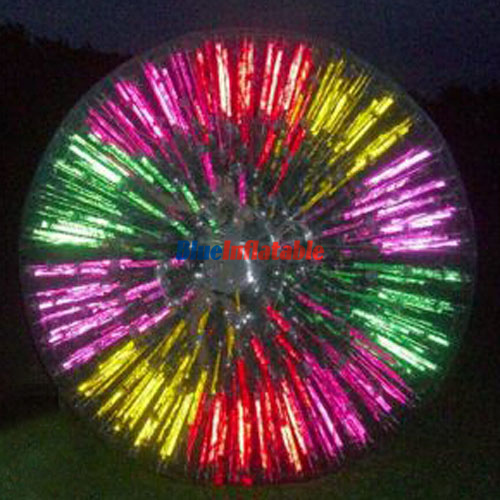 Just imagine your four-year-old kid inside a round ball, and you are slightly pushing, walking or running beside it. 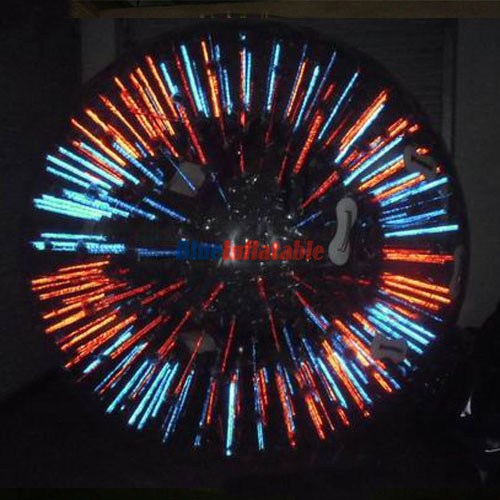 Imagine the excitement he or she will have as a result of the circular movements. Imagine the smile, laughter or fear it will create on their faces. The fact is that you will be the happiest of all. 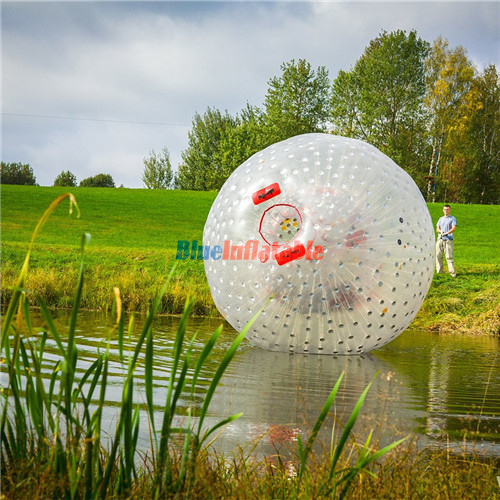 For more information about zorb balls and zorbing activities, contact us on this website.